1st Place: The last time Teddy Bradley was a regular on the R & B Bass Circuit he was a repeat Season Champion (2011, 2012). Despite the two year hiatus, it appears he is picking up where he left off. He and partner Tom Bell beat out 57 teams, which saw 51 limits come to the scales, to vault them into contention for that prestigious award, again. 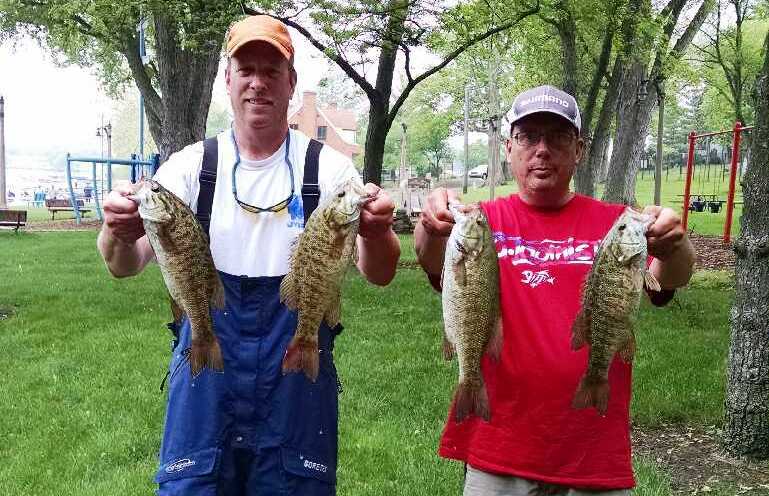 Their 12.41 pound limit consisted entirely of smallmouth bass, and they put it together without even practicing. have over 100 waypoints of smallmouth beds from other years, so we just worked through them.” The team went through nearly all of them and found bedding bass on at least 20% of them. It took just 24 minutes to land a limit. 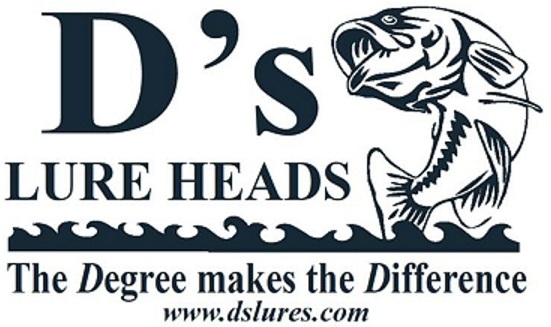 After 30 keepers, their biggest bass still did not show up until the last 45 minutes when blind casting a D’s Lures tube. Wilen working beds, the team threw Erie Darters and drop shot rigs to coax the fish into biting. They caught an additional handful by blind casting into deeper water while traversing between waypoints. This is Bradley’s fourth victory in the R & B Bass Circuit, and this is Bell’s second. In fact, Bell won here against 57 teams in 2014 as well. This time, they took home $847. 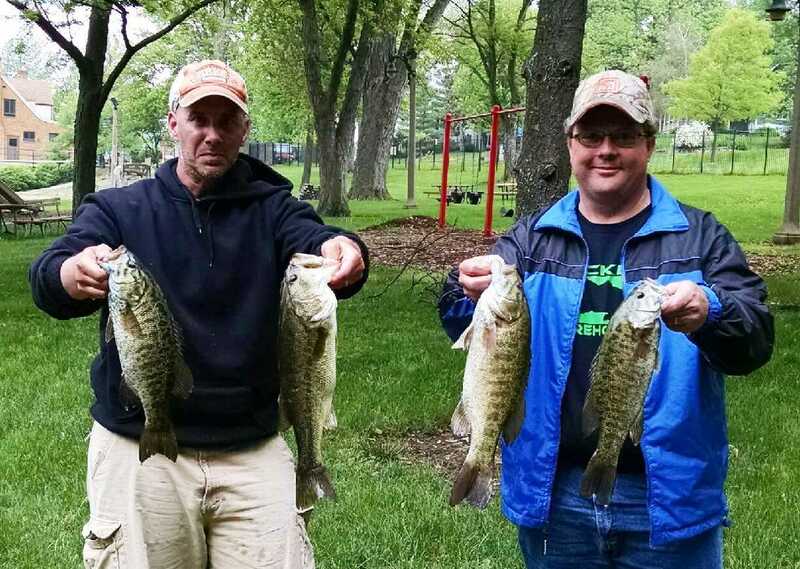 2nd Place: Winning an R & B Bass Circuit tournament is a big deal, and it is unfair to take away the attention of the victors, but one cannot help but be inspired by the runner up team of Dave Miller and Craig Chupp. As announced, this event marked a return to action for Dave Miller after being diagnosed with Acute Myeloid Leukemia last fall. Undergoing four rounds of chemotherapy this winter, and in only his fifth trip on the water since, Miller and Chupp reminded us all why they are among the best drop shot fishermen in Michiana. “We had our limit by 8:00,” recalled Miller. They went on to land two dozen keepers including a big ¾ pound cull in the last 30 minutes. Their drop shots were armed with Zoom Finesse Worms rigged wacky on top of ⅜ ounce weights and a 12 inch leader. Three areas produced their keepers, and they rotated through them throughout the day. A 12.18 pound limit won them $544, but their limit included the second biggest fish of the day, a 2.98 pound fish, which won them another $114, making their day worth $658. “I am very grateful for the opportunity,” lamented Miller. “I still get tired easily, but everything is going great for me now. I am in remission.” Remission. Let us all celebrate as Dave is winning his battle against cancer. and another 10 off beds, by covering a ton of water. “It was a pattern deal for us,” offered Price. 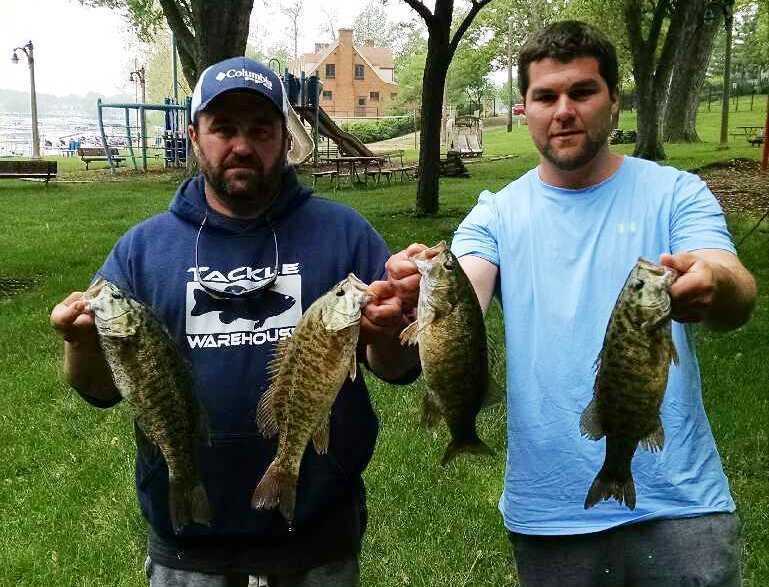 “We put the trolling motor down and just covered all the water we could in that depth range. 4th Place: Greg Kiser (right) and Jim Jenkins landed their first Top 5 in the R & B Bass Circuit with an 11.09 pound limit to claim $272. 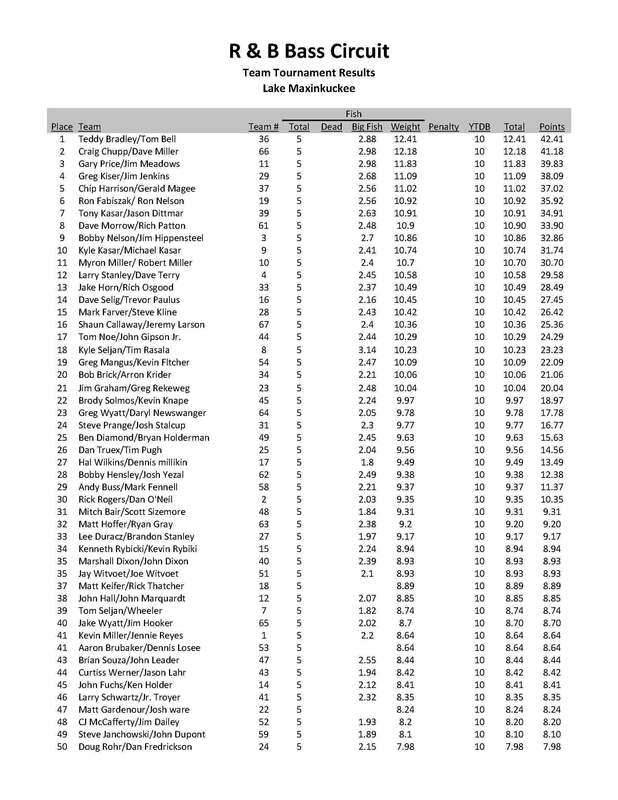 Like most of the top 5, they, too, did not practice, yet went on to land 20 keepers by dragging a drop shot rig. They focused their energy along four separate breaklines in the wind. These places also had secondary points where the fish concentrated. 5th Place: For the second consecutive tournament, Chip Harrison and Gerald Magee wound up in top 5. Like the winners, they too relied on previous experience. “We did not have the opportunity to practice,” Harrison admitted. 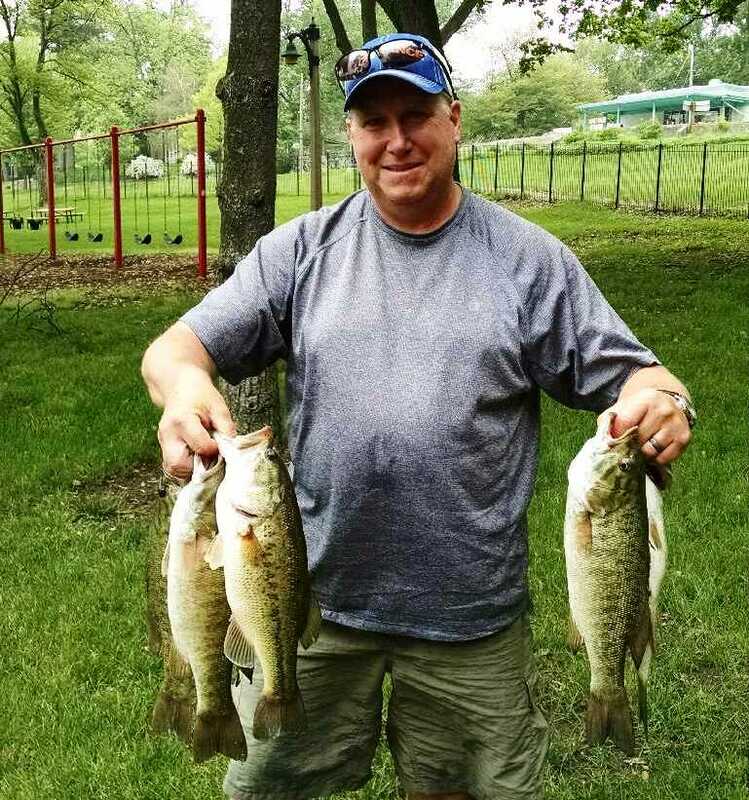 “So we just fished in areas where I have found bedding smallmouth in the past.” This strategy produced 20 keepers by slinging Poor Boy’s Harrison Melon tubes and Keitech 3.2” swimbaits. Harrison has a rich history as it produced a 11.02 pound limit worth $242. 6th Place: Ron Fabiszak, along with substitute partner Larry Regina (left), scrounged up a 10.92 pound limit to claim $212. 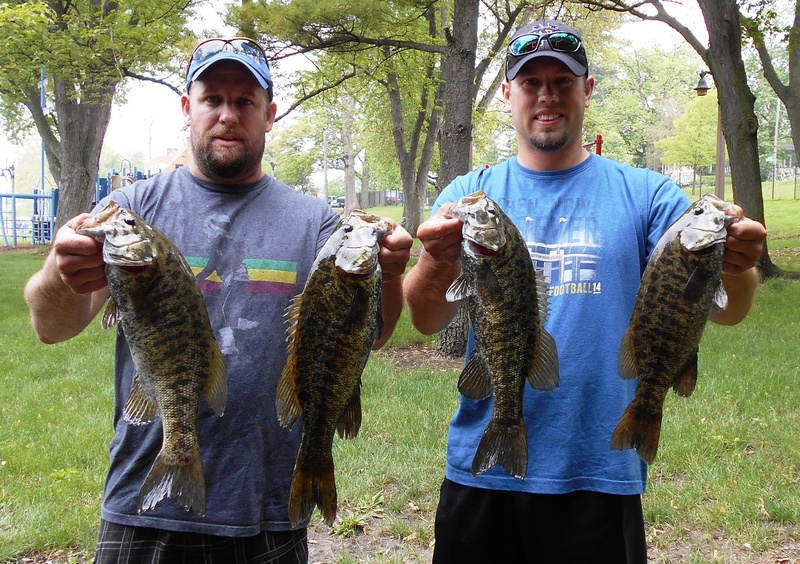 7th Place: 2011 & 2014 Classic ChampionsTony Kaser and Jason Dittmar weighed 10.91 pounds to win $181. 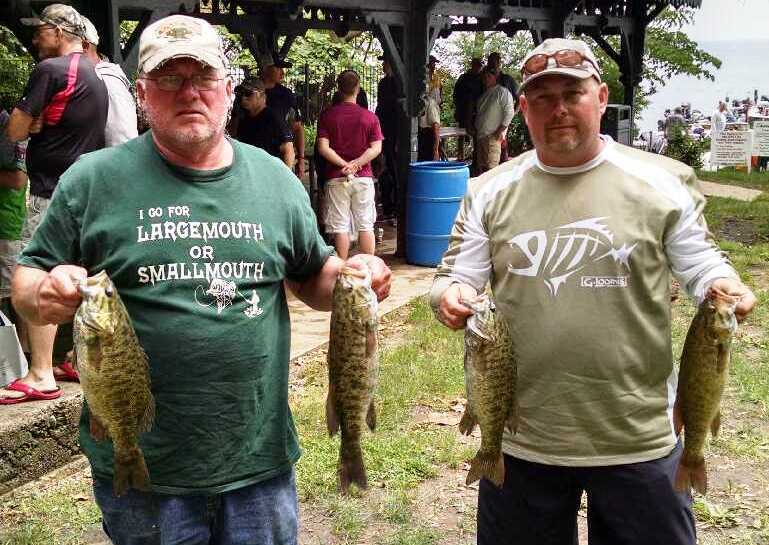 8th Place: A 10.90 pound limit won Dave Morrow and Rich Patton$136. 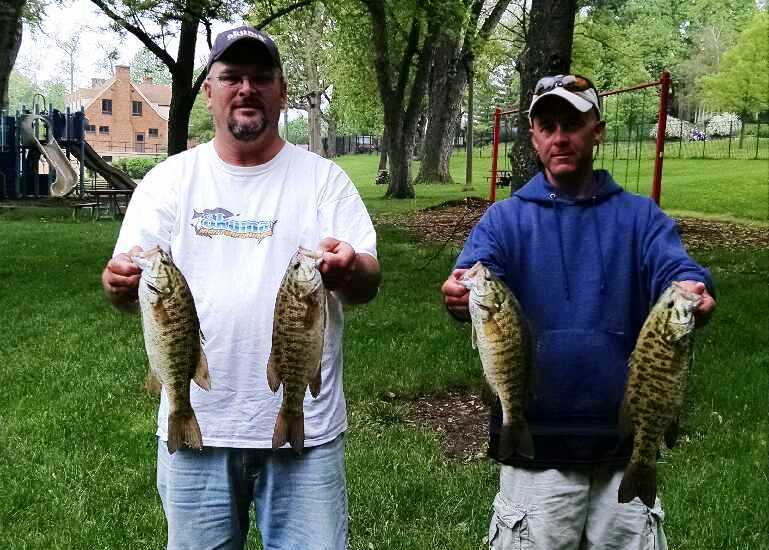 9th Place: Wawasee winners, Bobby Nelson and Jim Hippensteel, put together a 10.86 pound limit to not only win $106, but to remain #1 in the Standings. 10th Place: A 10.74 pound limit won Kyle and Michael Kasar $90. 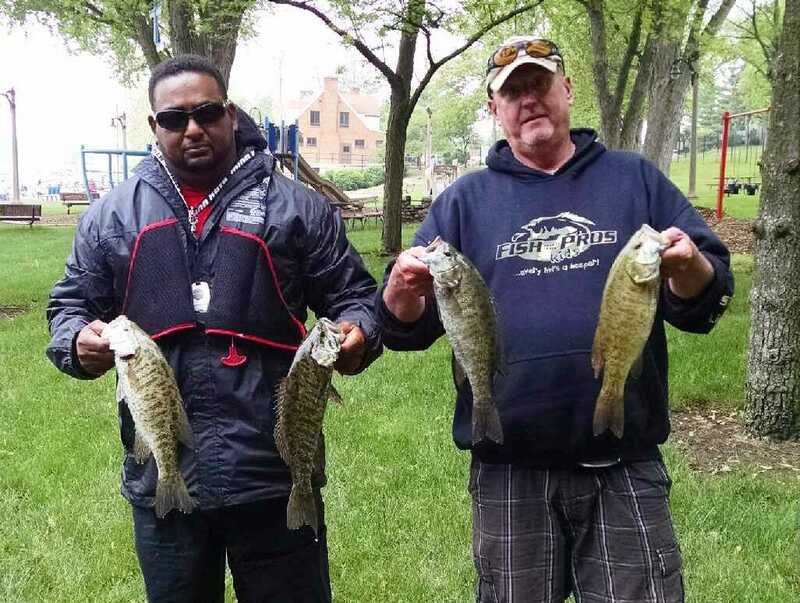 D's Lures Award: A limit of fish weighing 10.70 pounds by Robert and Myron Miller (right), was good enough to claim a prize worth over $50. 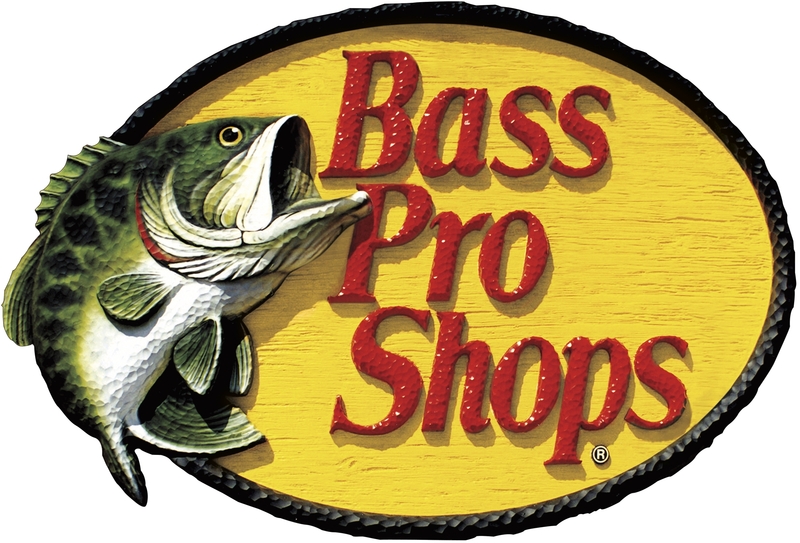 Bass Pro Shops Award:Steve Kline and Mark Farver finished 15th place with 10.42 pounds and won a Pro Qualifier reel provided by the BPS store in Portage, Indiana. Solar Bat Sunglasses Incentive: Finishing in 20th place with 10.23 pounds, Bob Bruick and Aaron Krider qualified for the Solar Bat Incentive worth $100 in cash. Make sure you are qualified! 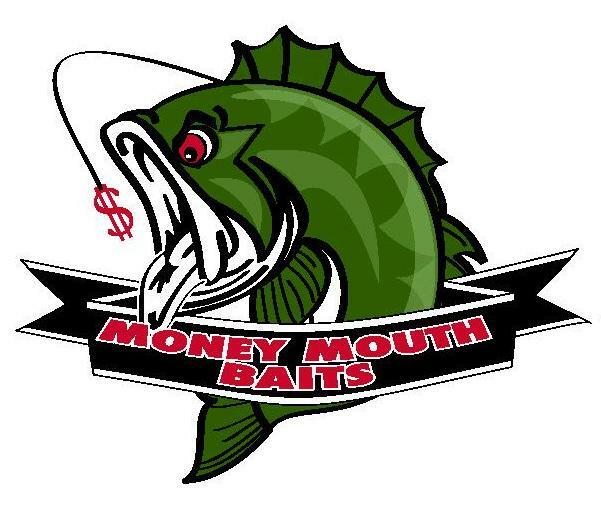 Money Mouth Baits Big Bass Award:Kyle Seljan and Tim Rasala weighed the only fish over 3 pounds, a 3.14 pound largemouth, to win $456 and tackle by Money Mouth Baits.